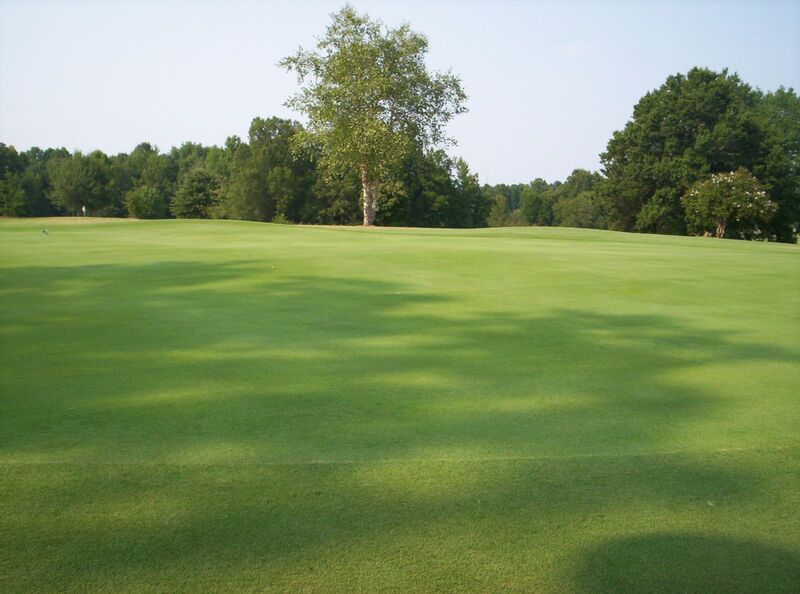 White Plains Country Club in Pageland, South Carolina plays 6,361 yards from the longest tees for a par of 72 with a rating of 70.2 and a slope of 127. Other tee yardages and rating/slope are 6,016-68.4/121; 5,059-64.4/113; and 4,620-62.2/108. Since opening in 1968 it has been a popular choice for players of all abilities because of its subtle challenges combined with affordability. Designed by Eddie Riccoboni in the old school of architecture it features generous landing areas off the tees. From there the player can fly the ball into the green or play an old-fashioned runup approach. The bentgrass greens are consistently lauded by area players as the best around. The golf course is walker-friendly with only a few steps from green to tee and typical playing time-riding or walking- is usually four hours or less. White Plains Country Club is one of the home courses of Paul and Kristina Tucker. Paul is the 2011 Carolina's Mid-Am champion and the 2009 North Carolina Mid-Am champion. He holds the course record from the White Plains back tees at 62. His wife Kristina is a past LPGA Future's Tour winner and finished in the top twenty at the 2006 Women's U.S. Open. She also competed on the Golf Channel's Big Break Hawaii that same year. The five-time state champion Central High School golf team calls White Plains home as well. We invite you to come test your game where champions hone theirs. Located only 55 minutes from Charlotte, NC and 75 minutes from Columbia,SC we're easy to get to and fun when you find us! THANKS FOR VISITING WHITE PLAINS COUNTRY CLUB! We invite you to come test your game where champions hone theirs. Located only 55 minutes from Charlotte, NC and 75 minutes from Columbia, SC we're easy to get to and fun when you find us!